These modern bookcase shelves offer the perfect storage solution to organize various sizes of books, catalogs, magazines, DVDs and CDs. This original bookshelf is very practical because you can arrange the books in an interesting and unique way. 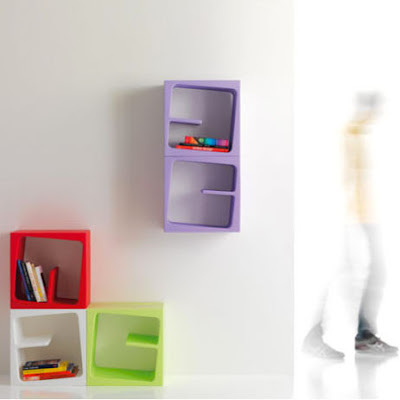 These modular Qubi storage units can be used as wall shelves or floor shelves. Use a single piece as a side table or join several pieces together if you need more storage space. 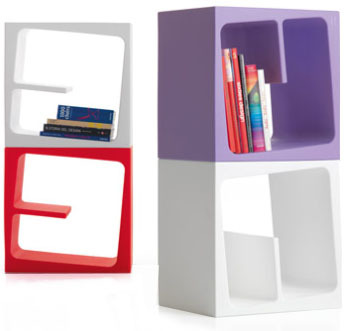 The Qubi bookshelf is something really innovative in the bookshelves business, and we really like the idea. A very appealing alternative to a regular bookcase. 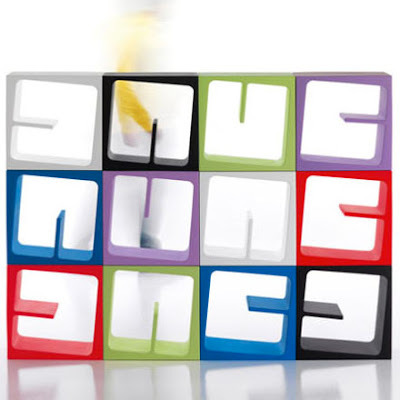 A great organizer for the home or business. The Qubi bookshelf is made of durable but light-weight roto-molded polyethylene which can be recycled.